While you can recycle boxes, take note a box loses its integrity (by 30%) each time it is handled. 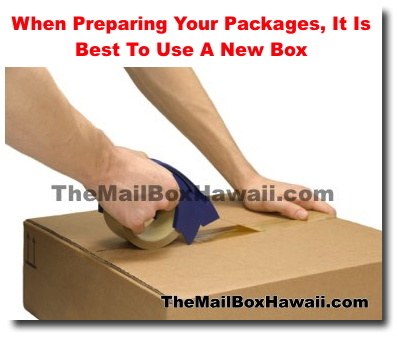 A crushed box does not stack easily, nor does it protect the contents. A new, unmarked box without excess writing or extra labels is much more likely to get from point A to point B without problems.